These unusual-looking birds are not commonly seen in the baths, though now and then they make an appearance. 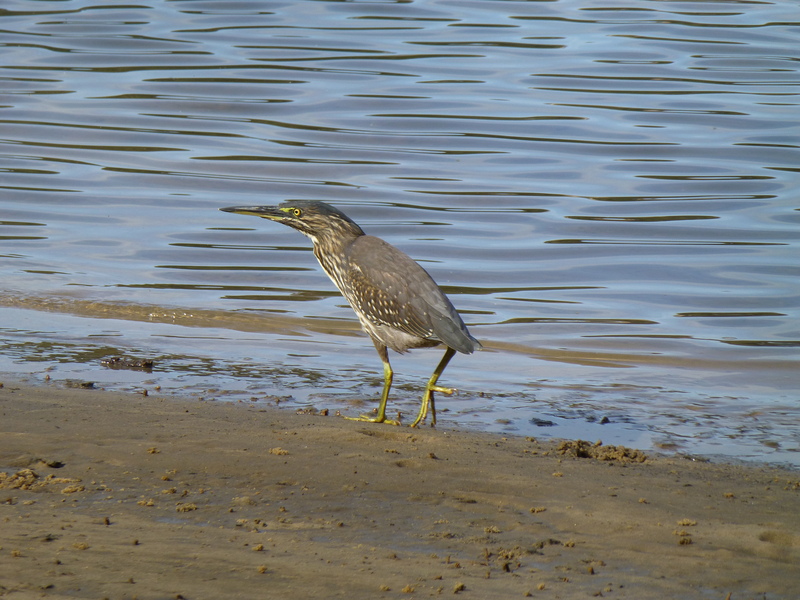 They’re called Striated Herons, and they are wary birds with dark feathers and black heads. Crouching as they stalk their prey, these birds are most likely to be found on mudflats and in mangroves as they search for crabs. What is it? 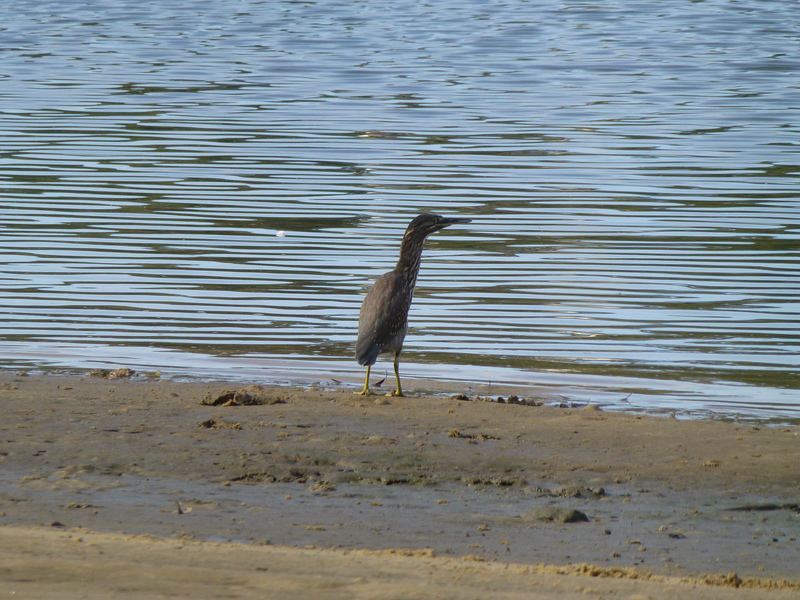 A Striated Heron! Just a few days ago, an uncommon visitor graced our river baths. We were puzzled at first. In the distance it looked a little like a Kiwi. But of course it wasn’t. 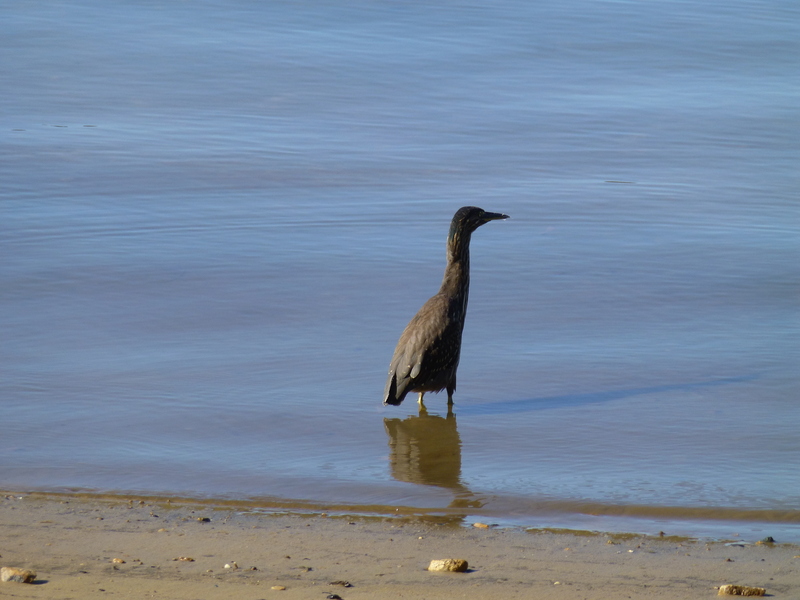 It was in fact a Striated Heron. It turned up again the next day, but I haven’t seen it since. And I’m not surprised, since as a regular visitor to the are I have seen it very rarely. It’s a wary bird that crouches as it stalks its meal of crabs. And believe me there are plenty of very small ones on the mudflats and sand-coated areas within the baths. Another subject for a post? ?